It’s that time everyone! 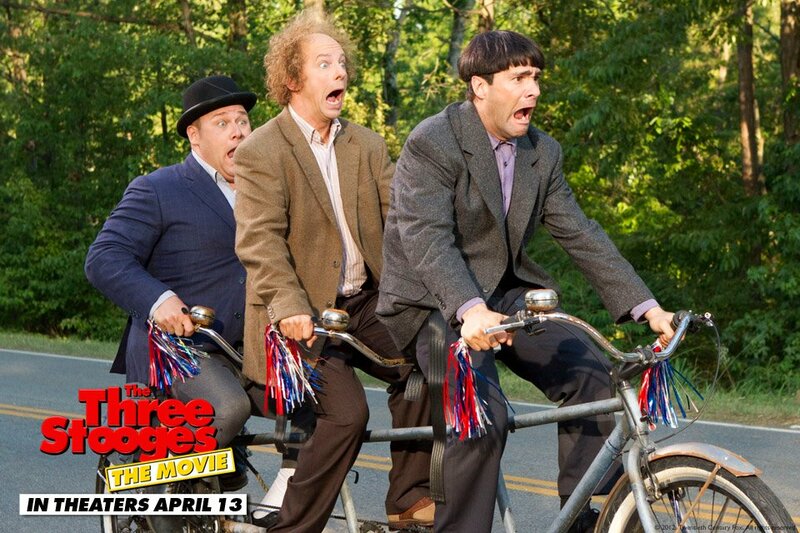 I told you guys just a few days ago about the Three Stooges movie coming out, now here we are and the movie is a-out and a-rockin’! I also mentioned something about a giveaway….so here we go…but first let me get you re-introduced to the movie. Tell me who your favorite stooge is. This giveaway will end on April 28th at 10:00 PM Central time. Winner will be chosen via a random number generator. Giveaway is open to US entries. Prizing courtesy of 20th Century Fox. The winner must contact me in 24 hours to claim their prize. Good luck to everyone! My favorite Stooge is Larry. Moe is the man he is so funny so he is my favorite. Curly always makes my kids laugh. Gotta be the favorite. I don’t think he’s in the movie, but Shemp was always my favorite. I like the grumpiness of Moe. I like Curly! thank you! My favorite Stooge is Curly, for surely! My favorite Stooge is Curly! Curly isn’t getting too much love on here! He’s my personal favorite, my fiance’s favorite is Larry. We can’t wait to see the movie! Woob…woob…woob knucklehead! My fav is Curly! Like your Facebook Fan Page. Curly is my favorite, if only for the fun name! My favorite is Moe. I want to thank you for this awesome sweep and hope to win 🙂 Thanks !! My favorite stooge is Curly. MY FAV IS BETWEEN CURLY AND LARRY. Curly is our family favorite. Curly has always been my favorite.Thanks! I Like your Facebook Fan Page. I Like Facebook Fan Page. I like Moe. Thanks for the giveaway! I like you on your Facebook Fan Page.